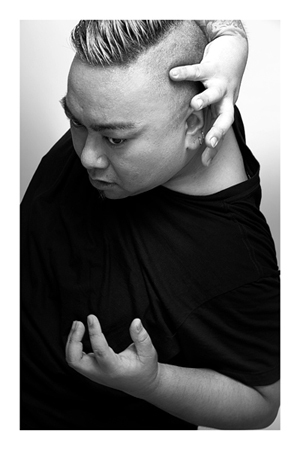 Born in Manila, Philippines and raised in Southern California, Mike Esperanza has established himself as a sought after teacher and choreographer throughout the nation. With a BFA in graphic design from California State University, Fullerton, Mike's approach to visual construction has influenced a unique movement orchestration on stage. His works have been commissioned by prestigious college and university dance programs including Chapman University, Loyola Marymount University, UNLV, Cal State Long Beach, Cal Poly San Luis Obispo, and Utah Valley University to name a few. Six choreographic works have made regional gala appearances at the American College Dance Festival with 3 going on to perform at the American College Dance Festival National Gala held at the Kennedy Center in Washington D.C. In 2005, Mike was awarded the "Dance: Creation for Performance" grant presented by Dance/USA and the Irvine Foundation. With this distinguished award, BARE Dance Company began. BARE has produced numerous show around Southern California including the Lestor Horton Award nominated "Manhattan" - an alternative take on West Side Story. Mike has also been a finalist at the Palm Desert Dance Under the Stars Choreography Festival in 2006, 2008, 2009 and 2010 taking second place in 2009 and winning the paid engagement award in 2010. BARE was recently part of the "Innerstate" roster presented by ODC Theater and funded by the Irvine Foundation. The program allowed the company to perform numerous cities in Southern and Northern California.